Ritz-Craft Corporation has been building homes since 1954 and currently builds world class custom modular homes for clients in 29 states. Their build process offers all the advantages of modern modular building in traditional ranch, cape cod, and two-story homes. We specialize in template, fabrication and installation of Granite, Marble, Quartz and Onyx for all you kitchen, bath and custom projects. We also offer a range of all solid wood cabinetry in many styles in stock, semi-custom, custom, stainless steel sinks and faucets giving you the perfect complement to your new counter top. DeJong Iron Works, Inc. has served the Paterson & Northern New Jersey area for more than 100 years. Now in our fourth generation of the family business, quality and service are still our top priorities. We are the premier source for general contractors, supplying all your ironwork needs..
Blue Ridge Lumber was founded in 1960 by Donald and Grace Ackerson . They leased a small portion of Read's Apple Jack distillery and started to build their dream selling rough lumber. They steadily built the business from ground up and were eventually able to buy the building they were leasing in the early 1970's. BrightView Distribution was established in 2007 by Duane Vincent Steinroeder, and we have continued to grow and prosper since then through all of the changes in the economy. We have successfully outgrown our original location, and we continue to expand by consistently offering great value, excellent service, and complete flexibility when we’re dealing with the needs of our clients. Our products are purchased directly from the manufacturers, which allows to sell them at the best value to you. Regardless of whether clients are looking to hire a company to work on their home or commercial building, we can help. 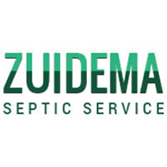 We understand how pressing septic tank matters can be, which is why we collect all information on the first phone call and then dispatch a truck to your location that same day. Since 2002, Crown Carting has provided several key services to residential, commercial and industrial customers throughout Bergen County. We specialize in dumpster rental, junk removal and demolition services. We build relationships with our customers that last. It’s the key to our success and what sets us apart from the competition. is a NJ Tree Service committed to delivering the highest quality of service at affordable prices. We have a hard-earned reputation for competence, reliability and customer satisfaction.